Choose a Solidarity Gift this year, and support the communities we work in partnership with through practical and meaningful gifts. Our new Sustainability Gift ensures that SERVE’s work is effective, inclusive and has a long-lasting impact on vulnerable communities in southern Africa, India and South East Asia. 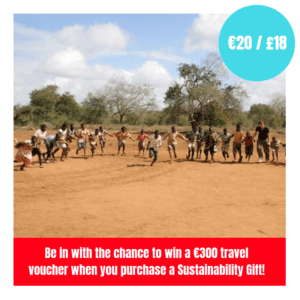 All Sustainability Gift purchasers will be included in our Christmas draw for a €300 travel voucher. A very positive feature of SERVE Solidarity Gifts is that all the gifts are purchased in the local countries which provides even more of an impact by assisting individuals, families, local communities and economies. These Solidarity Gifts are truly ethical and have the potential to have a long lasting impact. A gift certificate acknowledging the purchase of your gift which can be displayed or sent on as a Christmas gift. Please allow 3 days for processing of orders. 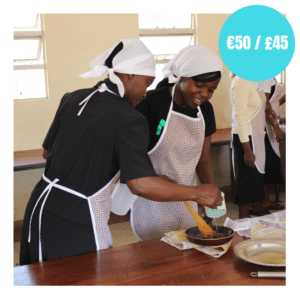 Purchase the SERVE sustainability gift and help make a lasting impact this Christmas. This Sustainability Gift is crucial to achieving SERVE’s vision of justice, equality, and sustainable development. It ensures that the work we deliver is effective, inclusive, and has a long-lasting impact on vulnerable communities in southern Africa, India, and south east Asia. By helping us meet essential costs, this gift allows us to support our partners projects, implement our transformative development programme, and continue to facilitate our innovative and impactful volunteer programme. If you can do one thing to support SERVE this Christmas, please consider the gift of sustainability. Early investment in children yields great dividends. Identifying the development needs of children at an early stage is one of the most important things we can do. Delivering early childhood education in the Badjao tribe is a precious intervention. 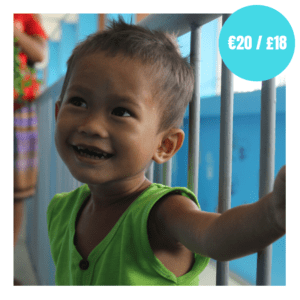 Your gift will deliver education and nutrition support for six months in the Nano Nagle Badjao Early Learning Centre in Cebu, Philippines. Poverty is only beaten when citizens have the skills to survive, to work and to take initiative. Your gift will contribute towards resources for 12 months to offer meaningful and valuable training, sporting and cultural activities for young people at Young Africa Mozambique or Zimbabwe. The squatter camps and villages close to the city of Rustenburg in South Africa are devastated by the HIV and AIDS pandemic. Supporting the local community to care for the many orphaned and vulnerable children is a powerful way to express solidarity in action. 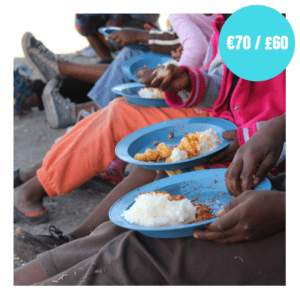 This gift will provide a guaranteed nutritious meal each day for one year to one of the 600 children supported by our partner. People living with disabilities in the global south are amongst the poorest on our planet. With the Sustainable Development Goals having a specific focus on disability in Goals 4, 8, 10, 11 and 17, we are continuing to respond to this issue through the provision of care and support to our partners. 75% of people living with disability in India are located in rural areas. 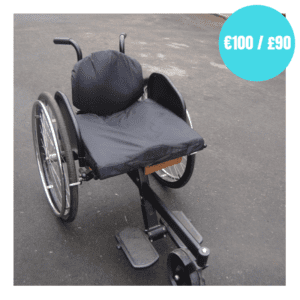 The provision of a modified wheelchair, designed for rural areas, can dramatically improve the mobility, confidence and independence of people with disability. Your gift of a wheelchair will transform the life of a person living with disability in rural India.